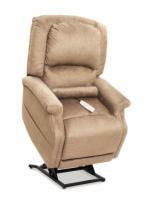 The Golden Cloud Medium PR-510 lift chair is designed for user comfort from top to bottom. Overstuffed padding, a full chaise pad, and Zero Gravity positioning, combined with a biscuit back cushion and bucket seat design, ensure that your lift chair will provide unmatched comfort and relaxation. An Absolutely "Subperb Deluxe Recliner Lift Chair"
Don the Detective from Summerside, PEI (formly from Ontario) would recommend this to a friend. Everything about this GOLDEN Tech. lift chair is beyond belief. 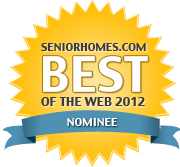 All aspects of it are remarkably built for supreme comfort and utmost enjoyment. In the three years I have had one,I can honestly attest that I have never had one slightest problem but only enjoyment. Service and delivery were a real credit to your company name. I am now in the process of finishing my basement and will undeniably "PURCHASE ANOTHER GOLDEN CLOUD MAXICOMFORTER WITH BRISA MATERIAL", for there. 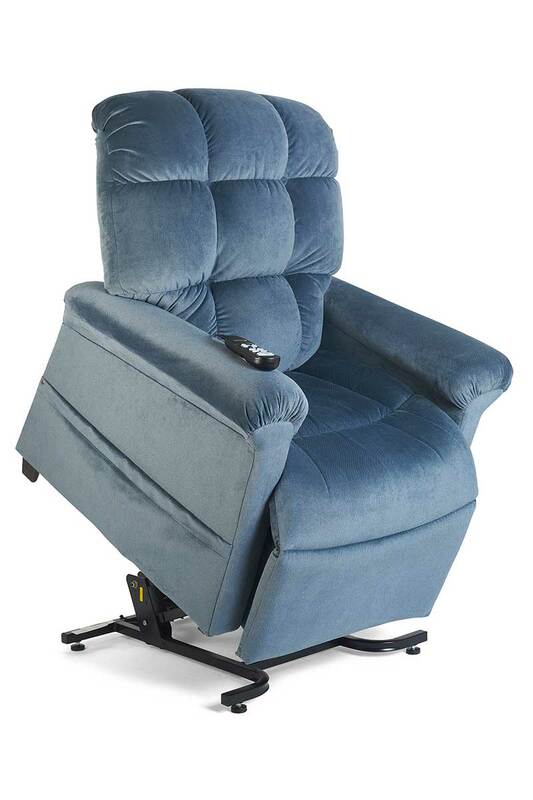 I have tried many other lift recliner chairs from a top supplier of medical equipment, but I encountered so much trouble with their products that I will never ever purchase any type of medical product again from them. My experience with Golden Tech. has been extremely successful over the last 11 years and I will continue to always purchase from them for any disability product that I need. Golden's products are backed up by them to the fullest degree and although I have never had the occasion to call on them for repairs over the years for my hospital bed, scooter, wheelchair or other products I received from them, I certainly "had trouble with the other top supplier of disability products in trying to get their products repaired. This other well known supplier is well recognized in Canada. "GOLDEN TECHNOLOGIES - KEEP UP THE EXCELLENCE YOU PROVIDE IN THE MANUFACTURING OF ALL YOUR PRODUCTS AND THANK YOU FOR THE PEACE OF MIND I HAVE ENJOYED SINCE I SWITCHED OVER TO YOUR PRODUCTS".